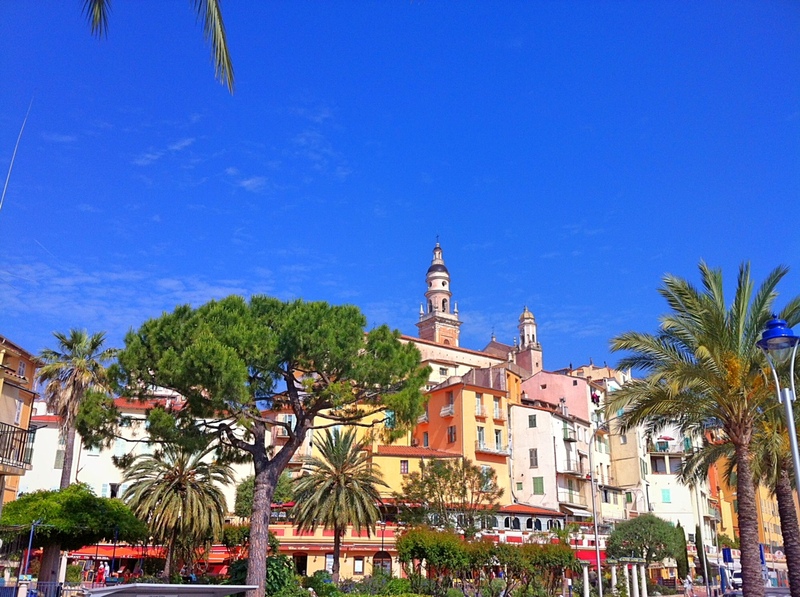 When heading down the coast from Nice towards Italy, the last town you will encounter before crossing the border is beautiful Menton. Located in a stunning setting between the Mediterranean and the Southern Alps, the town has a distinct subtropical microclimate that keeps it warm and sunny most of the year and the wonderful old world atmosphere that still pervades the place makes it well worth a stopover if you are heading to Italy or wish to combine it with a trip to the hilltop villages of Gorbio, Sainte Agnes or Roquebrune Village. Like in most towns of the French Riviera, there honestly isn’t that much to do in terms of pure sightseeing in Menton, but I’d advise you to take a couple of hours to wander around the old town, enjoy the delights of the waterfront, have a melancholy trip around the Old Castle cemetery and discover the Cocteau museum celebrating this multi-talented artist, all in a setting that already provides a taste of Italy with its warm colours, fresh air and greenery.